As hordes of children hit the streets, drivers should exercise caution. camera (Getty Images) More than twice as many children are killed in pedestrian-car accidents on Halloween between the hours of 4 p.m. and 10 p.m., according to the National Highway Traffic Safety Administration. 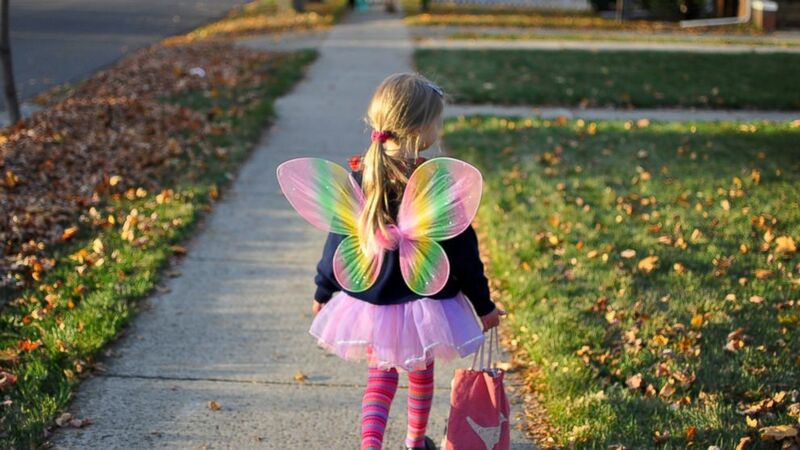 As kids prepare to put on their costumes and roam from house to house Thursday, parents and neighbors should keep in mind that their presence on the road and around homes requires additional caution. Travelers, an insurance provider, recently released the following five tips on how to stay safe during Halloween and keep the holiday trick-free. Do not overload electrical outlets when plugging in your scary indoor décor, especially the older decorations. "We like to focus on and recognize decorations on many different holidays," senior property specialist Jim Gustin said on website Travelers Risk Control, citing a National Fire Prevention Association statistic that estimates decorations were the item first ignited in an average of 1,000 reported home structure fires per year between 2006 and 2010. When it comes to setting up outdoor decorations, follow manufacturer instructions to help avoid unexpected damage to your home or guests. "We recommend whenever possible that folks use battery-operated candles," Gustin said. "If they are going to use candles inside of Jack-o'-Lanterns, make sure they are away from curtains, trees or combustible decorations." Also keep in mind how easily these spooky candles can be knocked over by a pet, guest or child, he told ABC News. It's always helpful to keep a multipurpose fire extinguisher accessible, filled and ready for operation. Don't "trick" Halloween-goers when they knock on your door this year. Check for damage to your roof and clean gutters and downspouts to keep debris from accumulating. "We in the risk-control department are all about keeping people safe, whether it's from wires or preventing slips, trips and or falls," Gustin said. "Make sure that driveways and walkways are cleaned up and well maintained. Also lighting at transitions between the driveway and the walkway can prevent a potentially dangerous situation where someone could slip." More than twice as many children are killed in pedestrian-car accidents on Halloween between the hours of 4 p.m. and 10 p.m., compared with the same hours on other days throughout the year, according to the National Highway Traffic Safety Administration. Eliminate any distractions you might have and keep your eye on the road for any Halloween activity and trick-or-treaters, Travelers advises. Like drivers, it's important to stay alert and pay attention when walking from house to house with trick-or-treaters, Travelers recommends. "We want to stress to folks as they or their children are out walking on Halloween that they need to pay attention, have a flashlight and have reflective clothing," Gustin said. "If people don't have their lights on, don't approach those homes because it has the potential to be a more dangerous situation."